So I was looking at some dimes and the sexiest thing I have ever seen came up. Does anyone know what panel this is? I know panels don't fit every car but if anyone knows what this is or what panel will fit a 68, please tell me. I'm so damn eager to get my hands on one. Besides the jdm garnish, can't afford that. Just a kid with a love for datsuns and no money. 4 doors riding slow and hangin loose. Re: Rear tail light panels? 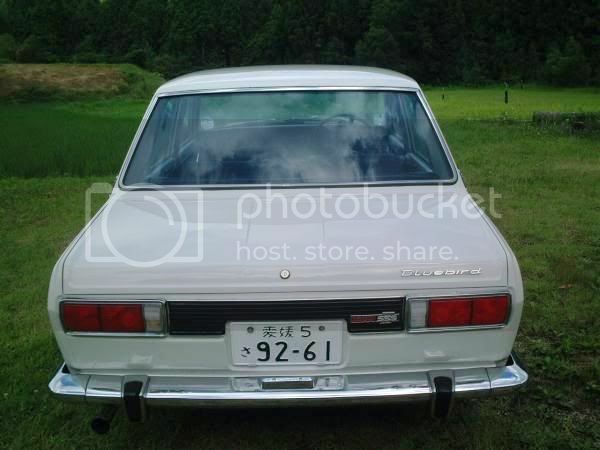 i think those are GL tail lights IIRC. they require trimming I believe on normal 510s, 68 is a different breed... I'm sure trimming would be needed. and drilling. 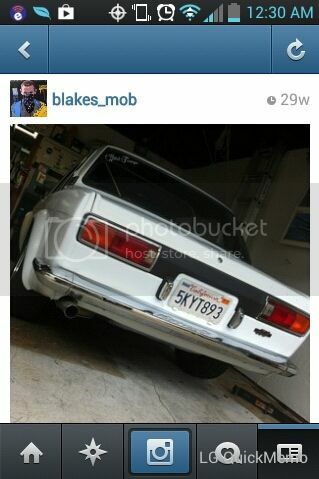 izzo wrote: i think those are GL tail lights IIRC. they require trimming I believe on normal 510s, 68 is a different breed... I'm sure trimming would be needed. and drilling. They're actually just stock lights with paint where a real garnish would belong. I'm deciding to do it because it looks close to damn awesome to me. I did not write this! Tristin wrote this on ratsun. Haha yeah, none of the pictures you posted are actually what youre looking for. The word you want to use is taillight garnish. The top picture is just paint, the bottom are Coupe taillights which are just taillights that stretch across the entire rear end. There are four versions of taillight garnishes... two for stock taillights and two for the plastic taillight trim. 1. 1968 had smaller taillights so the garnish is longer than the others. Only fits 68 stock taillights. 2. 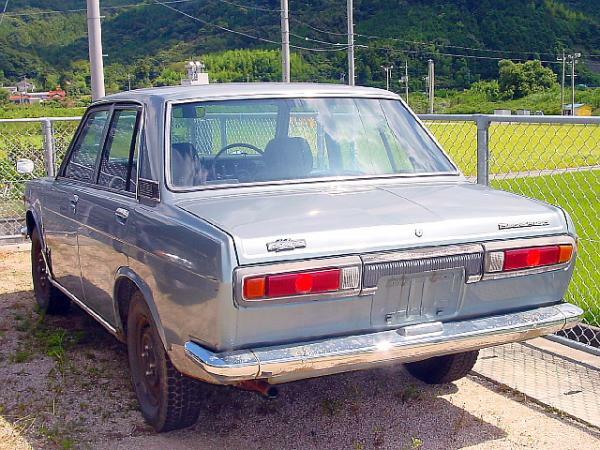 1969-73 had a slightly larger set of taillights than 1968, but were consistent through the later years. Only fits 69-73 (technically you could install it on a 68 but youd have a large gap on either end and it would look horrendously stupid). There seems to no variation in the stamping, but a few variations in the factory paint schemes. No one seems to know additional details. 4. Deluxe tail lights. Only works with these taillights. Looks like they are euro lenses with a black painted center. yeah! haha I just saw it off my phone... good call, man. I decided to pick up some plasti-dip and use it and see how it turns out. Problem is im not 18 and places wont let me buy the stuff.